Ashington FC manager Steve Bowey is looking to boost his squad this week by signing at least two – possibly three – new players. Meanwhile after Tuesday night’s visit to play Blyth Spartans (July 17), Bowey will prepare his outfit for a swift return to face neighbours Bedlington Terriers. 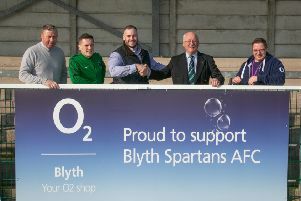 The Durham-born boss was extremely grateful to the Welfare Park outfit for agreeing to a warm up match at short notice at the weekend – and the Colliers – who won 4-0 - will return to face Bedlington for a second time on Friday (July 20) where kick off is 7.30pm.